Laguna Seca is one of North America’s classic road-racing circuits. 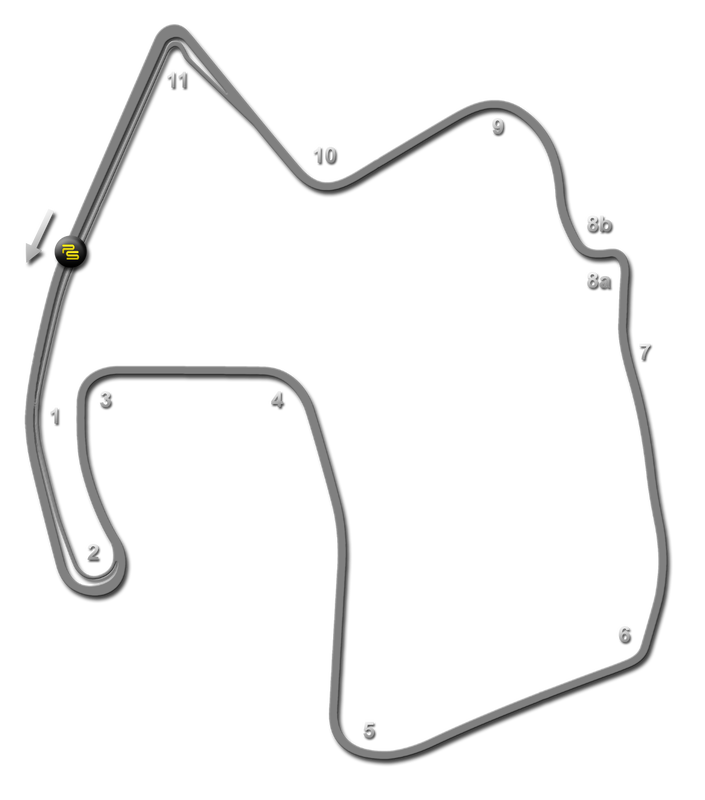 A serpentine ribbon of pavement winding through the hills overlooking California’s Monterey Peninsula, “Laguna” is the site of one of the most unique and famous corners in motorsport – The Corkscrew. Approached from a long, fast uphill run, the Corkscrew is a blind, plunging, left-right more akin to a ski slope than a piece of race track. With its series of blindingly fast curves interrupted only by the Corkscrew and the final hairpin, Laguna Seca was no place for the faint of heart. And with lap times approaching the one minute mark for the fastest cars, the Sports Car Association of the Monterey Peninsula embarked on a major rebuild in 1989 that added a tricky infield section and lengthened the track to its current 2.238 mile, 11 turn configuration. Although the original hair-raising Turns 2 and 3 are no more, the modern Mazda Raceway Laguna Seca remains as challenging as it is picturesque.